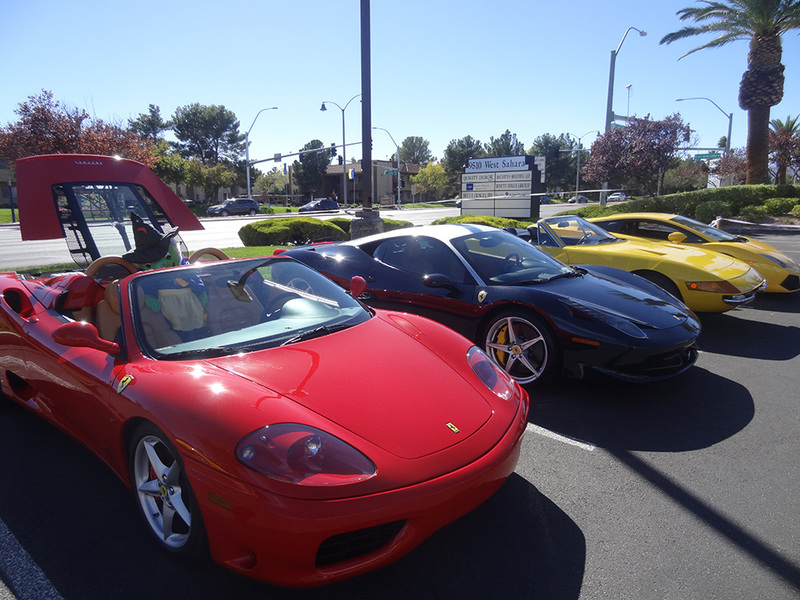 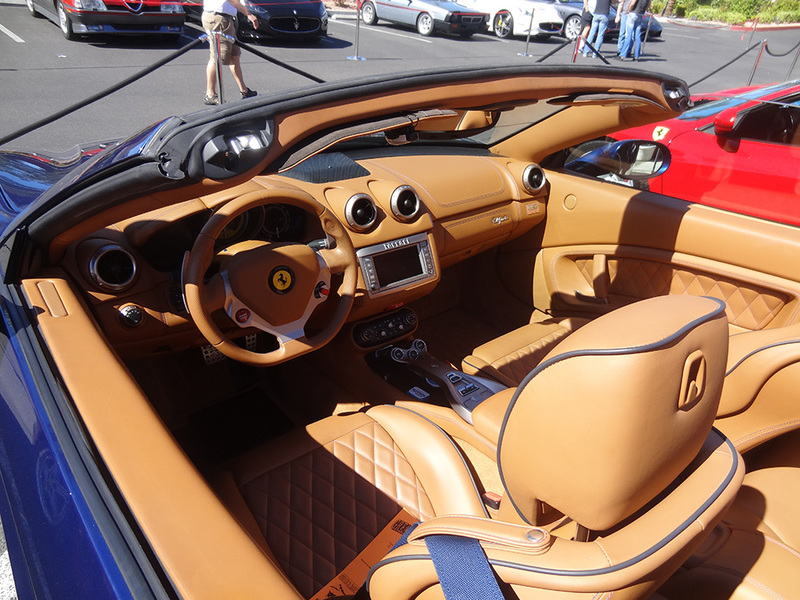 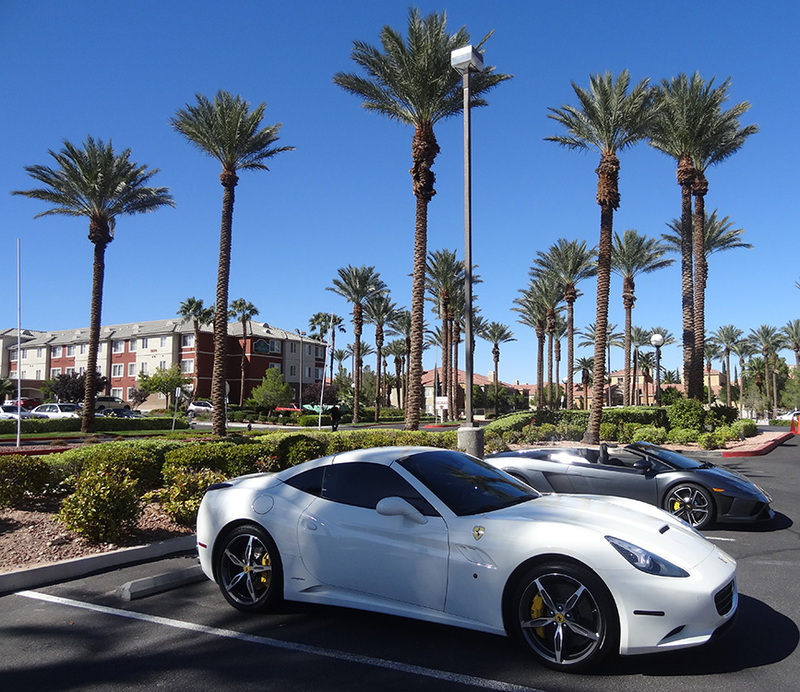 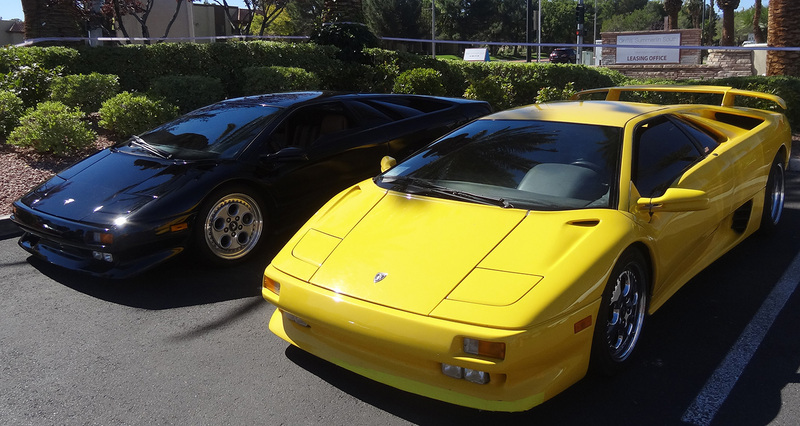 Yesterday Siena Italian held its 5th Annual Italian Sports Car Day. 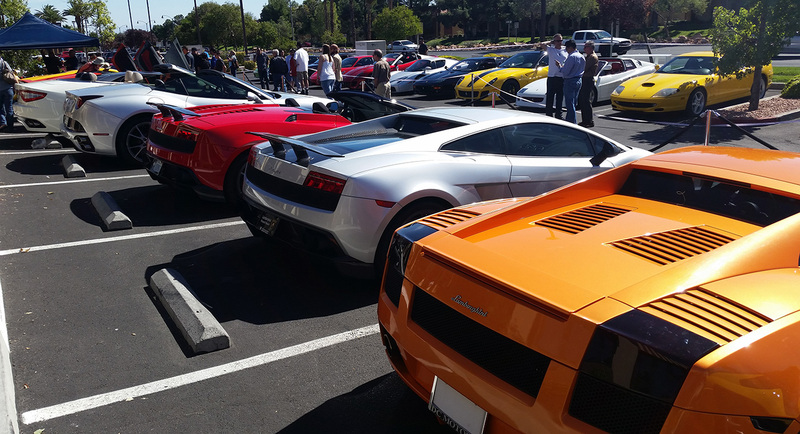 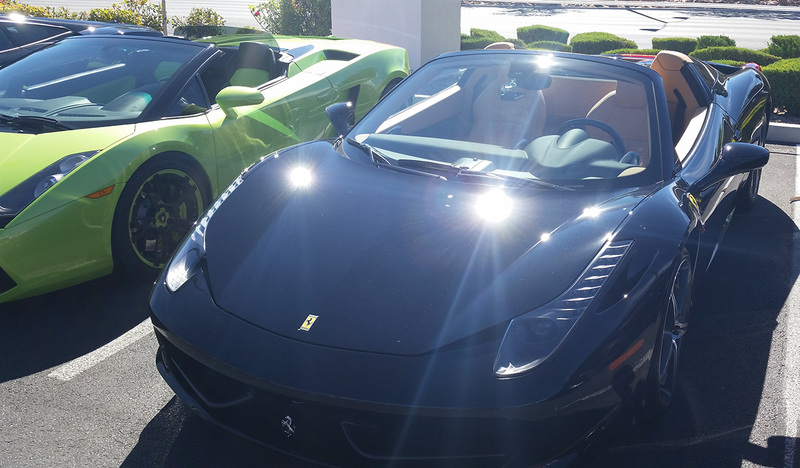 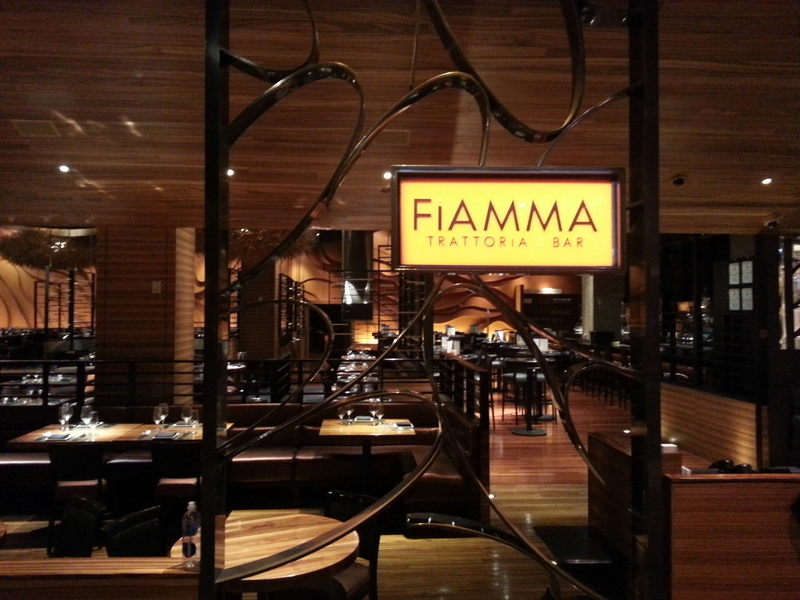 Millions of dollars in luxury cars lined the restaurant, with passersby perusing, dreaming, and snapping pictures! 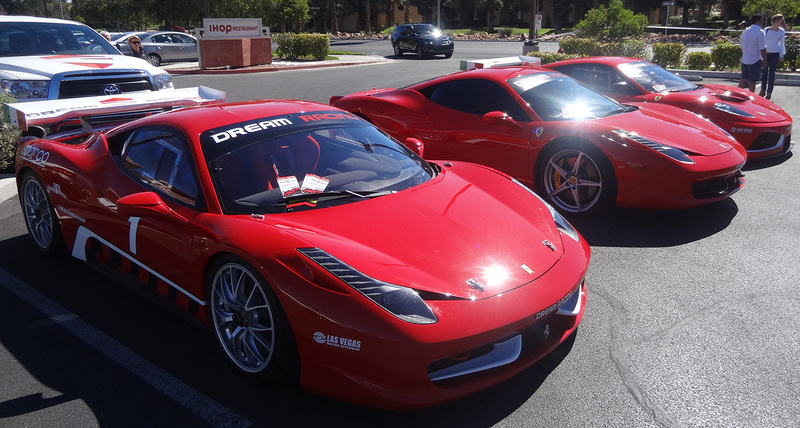 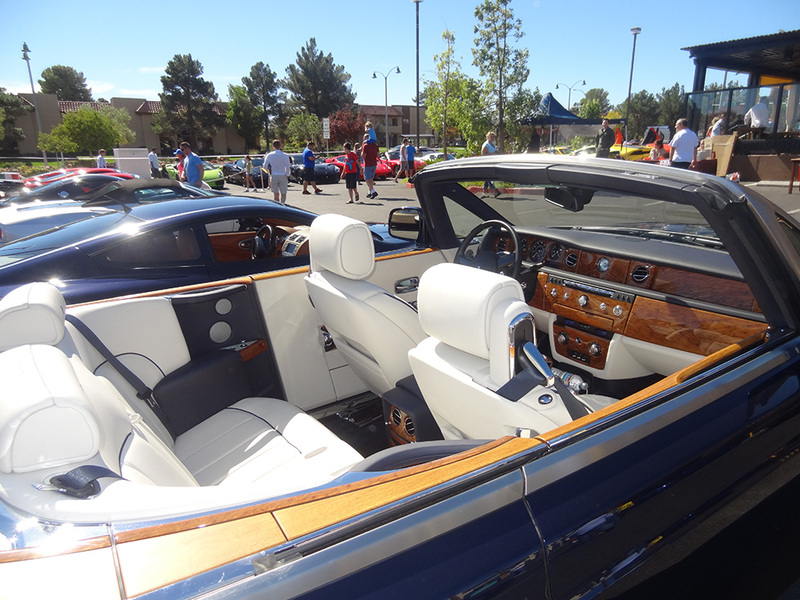 Ferraris, Lamborghinis, Maseratis, a Rolls Royce convertible, Alfa Romeos, Dream Racing Ferraris, and other amazing sports cars or vintage cars wooed the Sunday crowd. 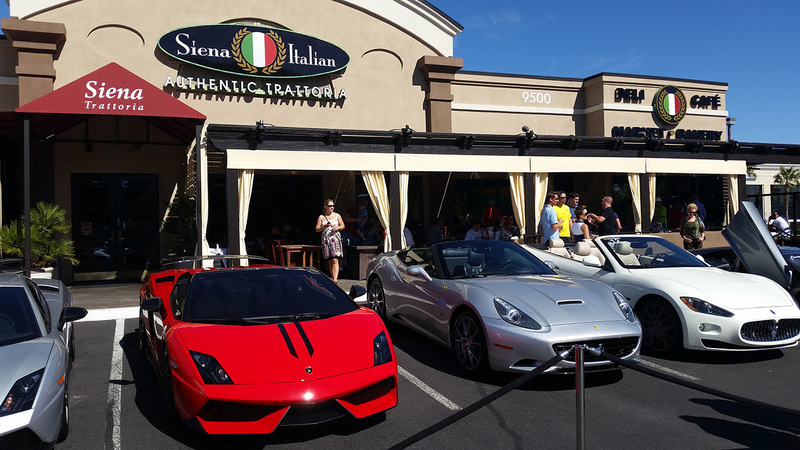 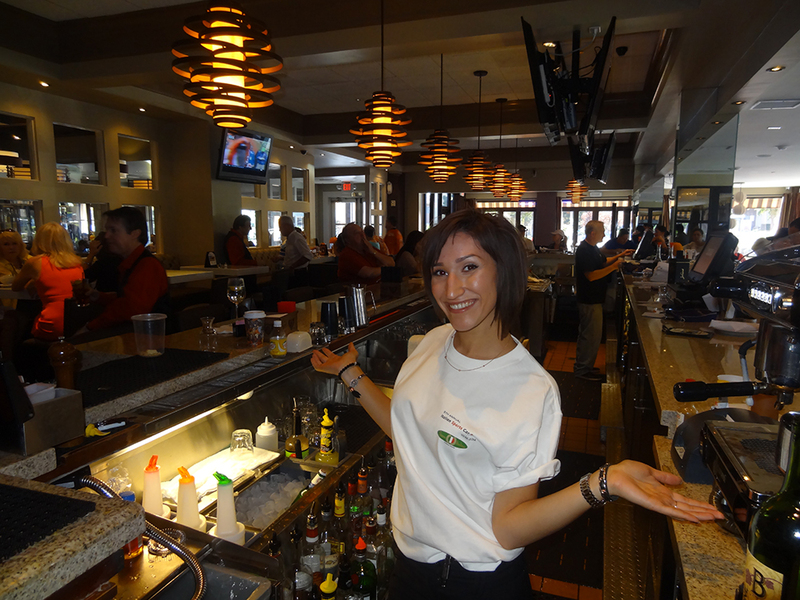 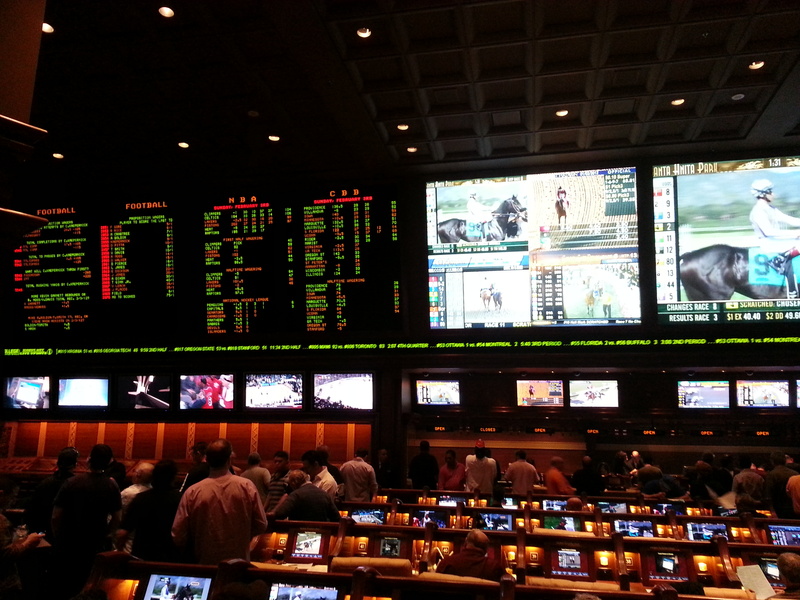 Meanwhile, inside Siena Italian Restaurant, people dined on authentic trattoria food, or sat at the bar watching Sunday football, or listened to the snappy swinging beats of The Vegas Good Fellas. 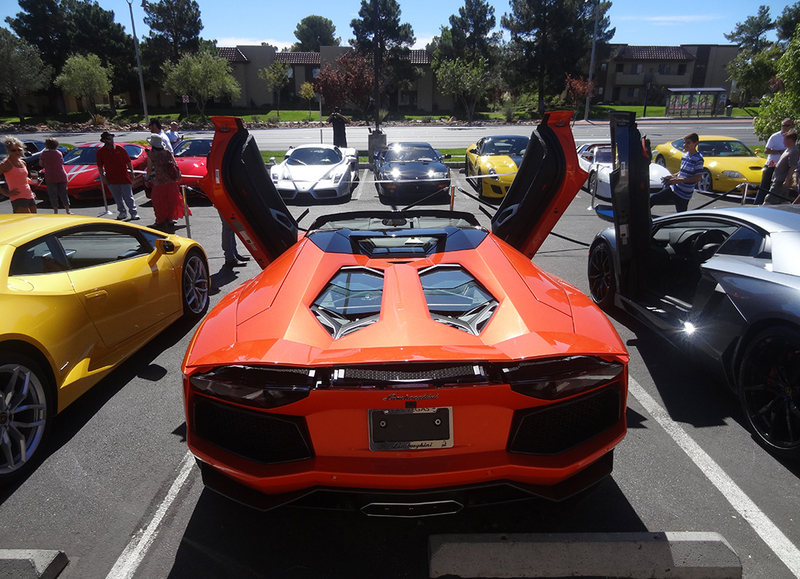 The Sports Car Day ran from 10am to 4pm, so people had plenty of time to eat tasty dishes, watch sports, listen to music, and take in all the gorgeous Italian cars.